Showing 1 - 9 of 9 Products for Shock Absorber. 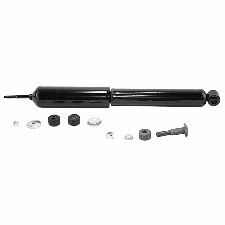 The 40301 by Lakewood is a 50/50 shock used on many popular AMC, Ford / Mercury and Oldsmobile / Pontiac vehicles. 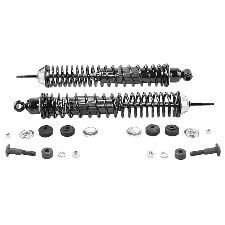 These are designed to provide maxim front to rear weight transfer when used with front drag struts or shocks and have been proven to reduce ETs. Lakewood Industries is the leader in drag race chassis and suspension technology. 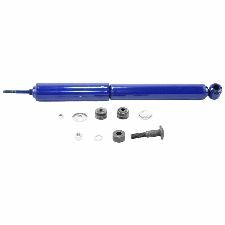 Using decades of track and laboratory research, Lakewood Industries has developed the most consistent and accurate drag shock on the market today Lakewood drag shocks have been precisely tuned for superior weight transfer that remains consistent pass after pass. Additionally, the multi-stage valving provides more stability and control mid track. 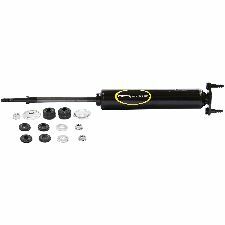 50/50 rear shocks are versatile enough to be used on the street and strip. 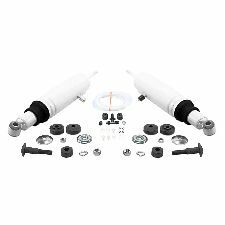 These shocks are designed to limit wheel hop and allow you to get maximum traction. Included with the shocks are rubber travel indicators to allow measurement of suspension travel.